As any gymnast, beginner through elite level can tell you, if you work on uneven bars, high bar, parallel bars, rings, or pommel horse – you’re going to rip. It’s an unfortunate fact of gymnastics. The good news? Unlike most of the injuries that I’ll write about on this blog, a rip is actually beneficial…. 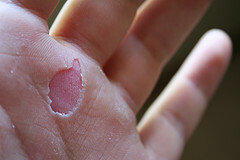 A rip is the wound caused by a callous tearing off the hand. It is an area of non-mature skin that is suddenly exposed when the thickened layers above it tear off. It is typically painful, and depending on the depth/thickness of the callous, it can bleed. The process of ripping is actually beneficial in the long run because it causes your hands to toughen. When you first begin to work bars, or when your training requirements increase, the increased workload causes your hands to break down in an effort to remodel. As you spin, swing, pivot, and move around the bar, the friction between your hands and the bar causes the top layers of skin to “bubble” up and pull away from the layers underneath. This causes a “blister.” When the force exceeds the strength along the edges of the blister, the top layers of skin “rip off” and tada – you have a rip. As you continue to train and after the new rips thicken and heal, you begin to build callouses (areas of thicker skin that are more dense, dry, and resistant to the forces placed upon them). 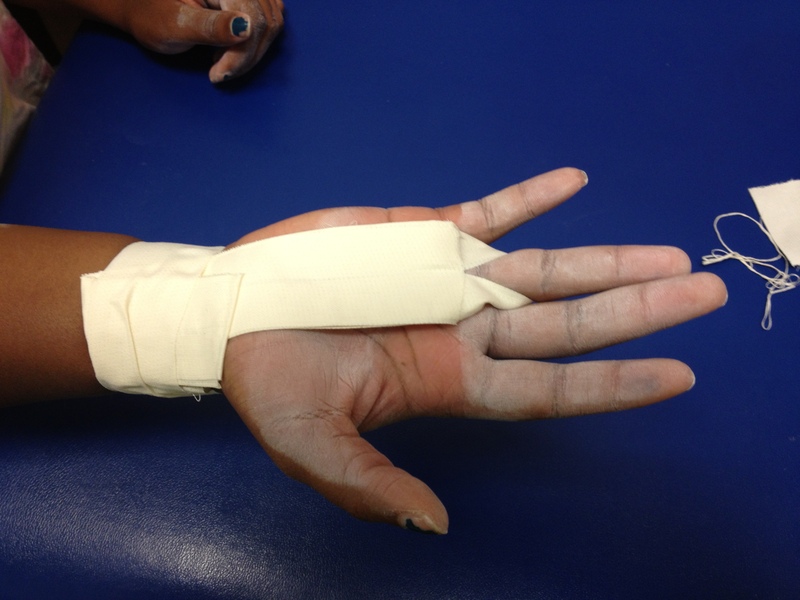 These callouses are a requirement of any seasoned gymnast – they are as important as good strength or flexibility. That said, like other tools, they must be maintained. An ounce of prevention truly is worth a pound of cure. When you rip, you have to take time off that apparatus to let the wound heal. So it comes at no surprise, that preventing rips should be the goal. Shave/smooth your callouses: Using a pumice stone, smooth and thin out the callouses that do form on your hands. In the case of gymnastics, a thicker callous is not always a stronger callous. By keeping the excess dead layers from building up, and by keeping them smooth, there is less of a chance of them getting caught and torn. Keep your hands moisturized: When you’re not in the gym, wash off the chalk and use a basic hand lotion to keep the callouses from cracking and to keep the skin they attach to stronger. Don’t over train – if you notice that your hands are close to ripping, decrease your training if possible. Allow the skin to remodel without forcing the rip. Use grips: If you’re on the equipment enough to rip, it’s probably time to get some grips. There are many types, and each is beneficial for a certain event and level. 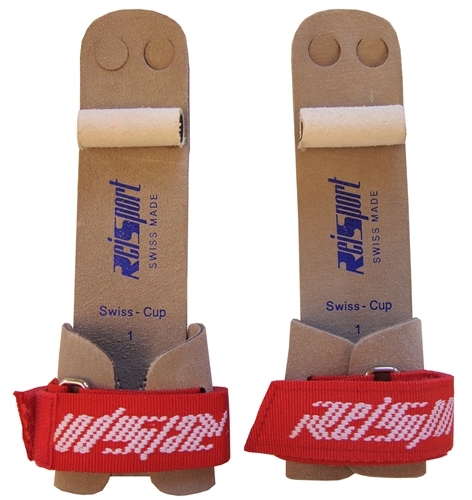 Palm grips: If you’re new to the sport, start with palm grips. 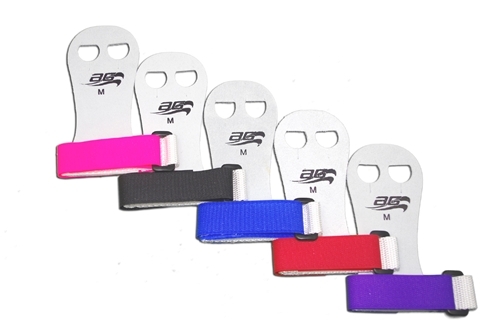 These can be used on any piece of equipment, and are relatively inexpensive. They cover the palm with a layer of thick material and can add friction if maintained. Sizes are based on the length of your palm and vary by manufacturer, so look at the sizing guide to be sure. 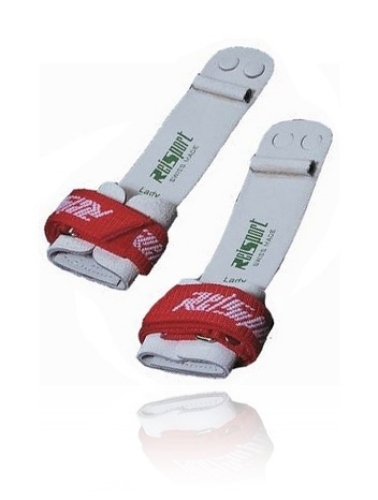 Dowel grips: These are designed for high bar, uneven bars, and rings (but be aware – the model and style is different between the three apparatus). The grip sits on the distal phalanx of the fingers (just past the last knuckle) and cover more of the fingers than a palm grip. The dowel in the grip loops over the top of the bar and helps to increase the mechanical advantage provided by the grip (makes hanging/swinging a little easier). For this reason, these are a better tool for the more advanced gymnast – anyone beyond a basic routine that is doing tap swings and flipping dismounts. 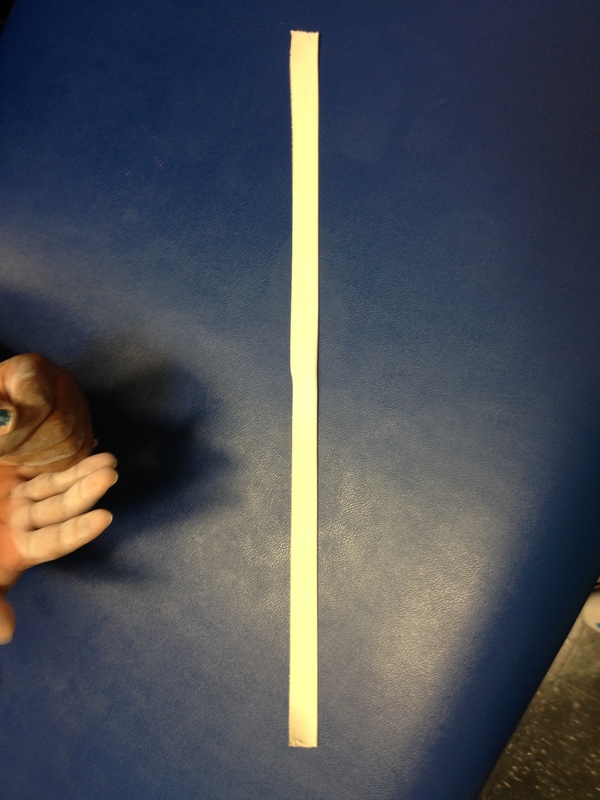 Sizing with dowel grips is very important – there is a risk of the grip locking if the palm portion is too large (another reason to never use the grip models across the different apparatus). For that reason, be sure to read the size charts on the website. 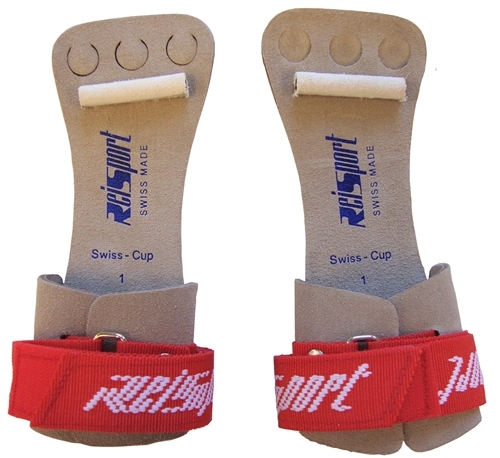 When the grips arrive, they will be stiff and seem small – as you work on them, they will stretch. Uneven bar dowel grips (note that there are 2 finger holes); retail for about $50.00 – $65.00 online. High bar dowel grips (note the shorter length and 3 finger holes). Retail for $50.00 – $65.00 online. Rings dowel grips (note the narrow width). Retail for $50.00 – $65.00 online. Once you have a rip, you’ll need to treat it correctly if you want your recovery time to be less. It’s important to stop what you’re doing immediately (please don’t keep swinging on a fresh rip just because you think you’re beast). As it is a wound, there is a risk of infection, and as common courtesy to your other teammates, you’ll want to avoid getting blood and interstitial fluid all over the equipment. Trim the rip: Using nail clippers (or if you’re daring, a pair of nail scissors) trim away the remaining edges of the torn callous. You want the skin along the edges of the rip to be pink/healthy and firmly anchored to the underlying tissues. This will prevent any further progression of the rip when you return to swinging. Some gymnasts will just tear off the excess skin. If you’re skilled this is fine, but be aware that you can tear off healthy adjacent tissue and make the rip bigger and more painful. Clean the rip: Using warm water and regular soap, scrub for 30-60 seconds. No doubt it will burn, but you have to clear out any bacteria and the chalk to ensure that you don’t get an infection and to allow the skin to heal. Avoid hydrogen peroxide or rubbing alcohol as they can kill healthy cells and actually slow the healing process. If the rip is bleeding, try Bactine – this is more gentle and also has an analgesic (pain-reliever) in it. The spray version works well so there is no need to “swab” or “dab” at the rip – this is only going to make it more painful! 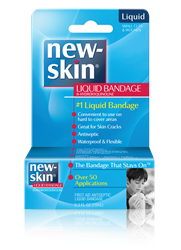 Cover the rip: If you’re heading back to the apparatus that day, I’d recommend “New Skin.” It’s basically sterilized clear nail polish that instantly seals the rip and provides a protective layer (yes, it burns like mad). Get your own bottle because it’s brush on and is unsafe to share with your fellow gymnasts. I use 2-3 coats (it takes about 60 seconds for each coat to dry) to ensure good coverage. I would also recommend that if your grips don’t cover this spot, make a tape grip (see below) to give an extra layer. New-skin is nice, but nothing can compete with the friction from a giant swing. 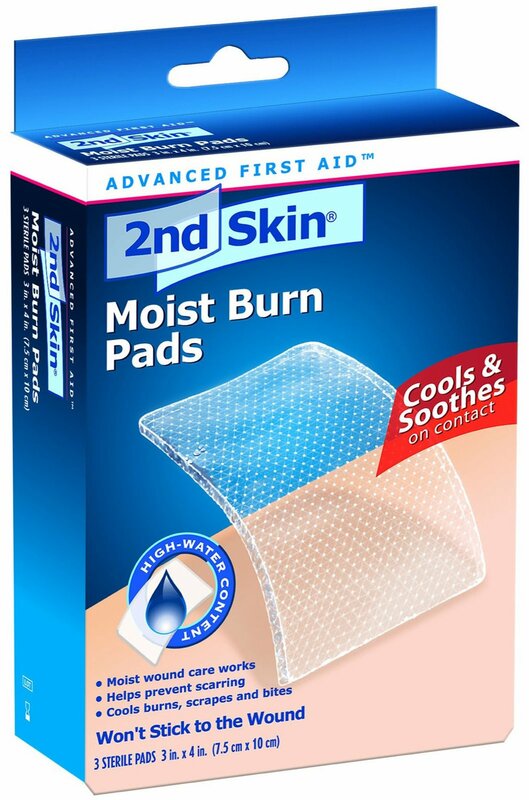 If you’d rather, Spenco 2nd skin moist burn pads are a great soothing option – they just don’t stay in place well if you keep swinging. Cut them to size (they usually come in a 3″x4″ sheet) and place the gel side down on the rip. I’d recommend using them after practice that day and cover with a band-aid/tape to keep in place overnight. This will take the “sting” out and speed the recovery/maturing process of the immature skin layers. Keep the rip smooth and “crack free”: In this case, as the rip heals, you want to be sure that the edges where the new and old skin meet are not rough or uneven (a pumice stone works great). Use chapstick on the center of the rip (as long as there isn’t any blood and it’s been about a day since it first happened) to keep the skin hydrated. If it dries out a “cracks” you’ll likely see another rip in the next day (even deeper and more painful than the first). It can also be beneficial to soak the rip in an epsom salt & warm water mixture for 10 minutes at night. This will sooth the “ache” and help to toughen then skin so that there is less pain the next day. 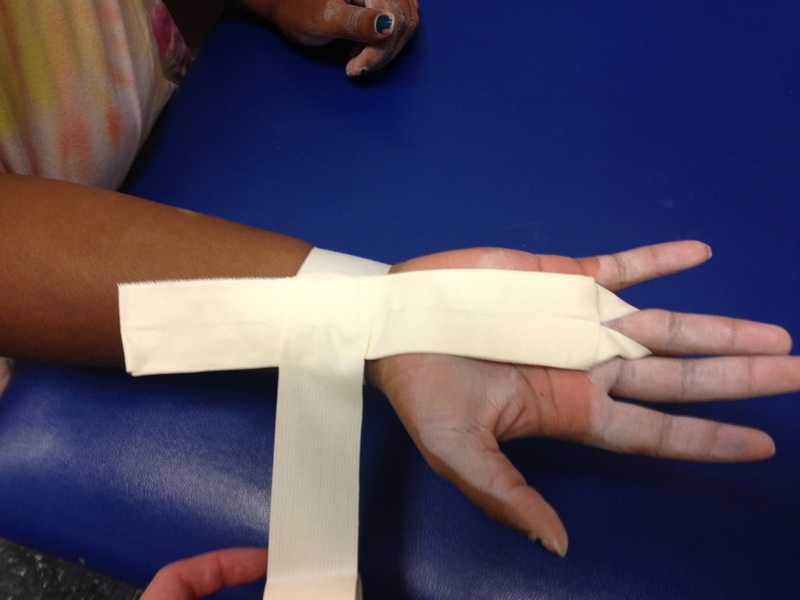 Tape grips are a quick solution to cover the rip in the gym without wrapping the whole hand in tape (we all know that will roll up and interfere with practice). 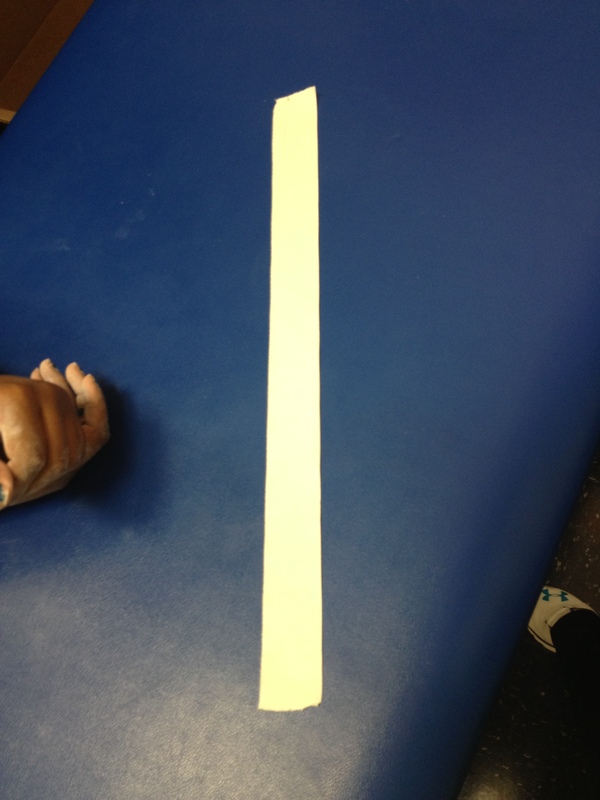 A tape grip can be used under your grips, or just to cover the palm while tumbling, on balance beam, etc. 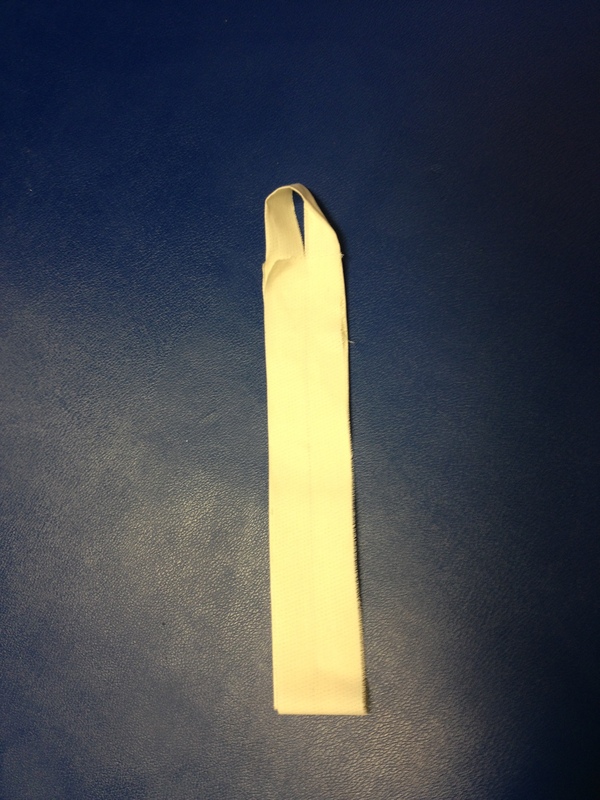 The palm portion of the tape grip is reusable, and often lasts through 2-3 solid practices before breaking down. The grip is anchored to the wrist with tape, and can be secured with or without pre-wrap (depending on amount of arm hair/comfort required). Fold the tape over so the sticky sides meet and crease it (now it is half-width and the outside is no longer sticky). Bend the length in 1/2 and make a loop at the top (be sure to avoid twisting the tape). This loop is there the finger will go. 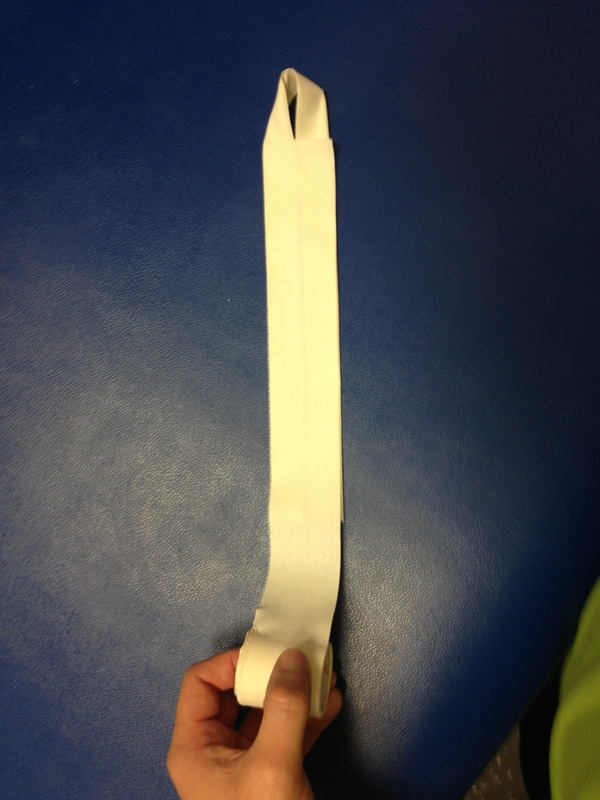 Using tape, stick the two halves together (start 1-1.5 inches below the loop and go to the end). Do not tear the tape yet. 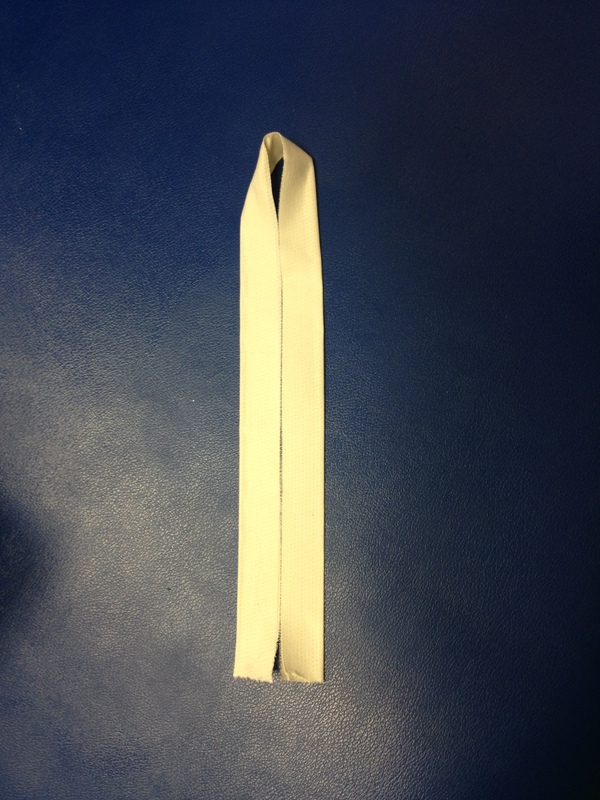 Flip the grip over, and run the tape up the opposite side to the same point just below the loop. Tear here and be sure everything is “securely stuck”. Place the loop over the finger just about the rip. Be sure that the “wide side” of the loop is against the hand for comfort. Begin to anchor the grip at the wrist with tape. Be sure to hold the “tail of the grip” in place (not shown) so that it doesn’t twist. 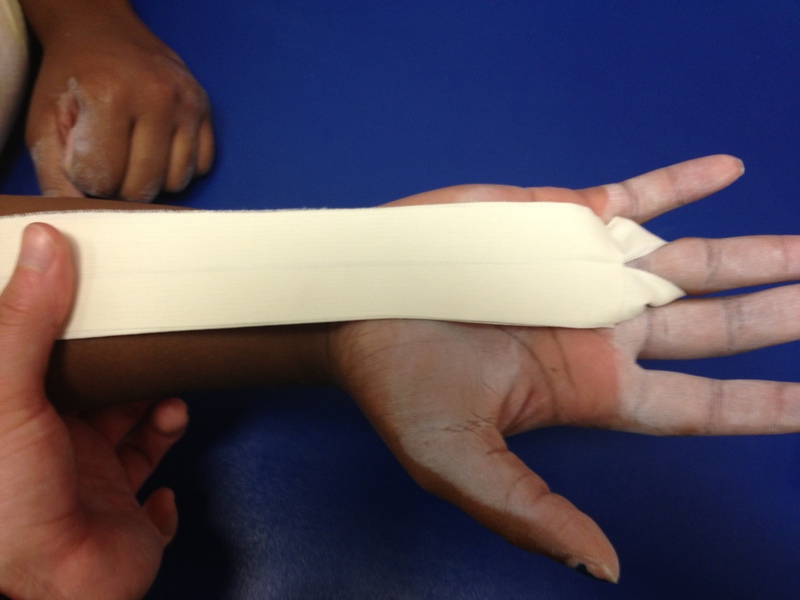 After wrapping one full-length around the wrist, fold up the excess “tail” and wrap again. This will ensure that there are no loose ends in the way of skill performance. This entry was posted in Wrist/Hand and tagged gymnastics, high bar, parallel bars, rings, rips, uneven bars on October 14, 2012 by Angie.